If you often play poker online, you probably will have heard that poker is not strictly limited to Texas Holdem. There are several different types of poker, and although Texas Holdem is the most popular form of the game, many players are now expanding their poker knowledge and trying out the different variations that are available online and in casinos. Omaha – Omaha is becoming increasingly popular online and in casinos and gives players a more challenging way to play. In Omaha poker, players are dealt four hole cards as opposed to two. Players can only use two of these to make a hand with the three community cards on the table. The rest of the game is similar to Texas Holdem, in terms of betting rounds and blinds. Omaha Poker presents a more challenging way of playing, due to the extra two hole cards. This means that having a great hand can be a lot more common than in Texas Holdem. 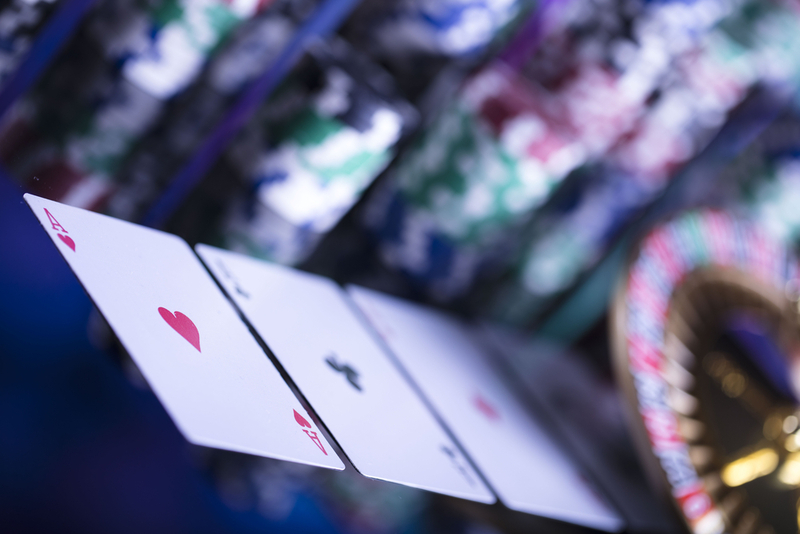 There are two variations of Omaha poker, including ‘Omaha high’ where players compete to win the pot with the best hand, and ‘Omaha 8 or better’. In Omaha 8 or better, the pot is split between the player with the best hand and the player with the best low hand. To qualify for the low hand, players must have five cards ranked ‘8’, or lower. Speed Poker – Speed poker is usually played using Omaha or Texas Holdem games. The rules in speed poker are the same as they usually are, the only difference is the speed of play. Playing at a faster pace adds more excitement to the game and also challenges you to think fast. In speed poker, players are constantly moved between tables to keep the game as fast as possible. This means that when a player folds a hand, they are automatically dealt another and will be moved to another table each time they do. Texas Holdem – Texas Holdem is the most popular of all poker games and is the go to game for most players who want to get started playing poker online. It is the best variant of poker for players that are new to the game but are still looking to play real money poker online. It is also the most popular type of poker to play in Vegas casinos or other land based casinos around the UK or US. For players that are new to poker, this variant is probably the best starting point. Here’s a short guide on how the game works. To start, each player is dealt two cards known as ‘hole cards’, the aim of the game is to create a better combination of five cards or ‘hand’ from the hole cards and community cards (cards that are dealt onto the table). The player with the best ‘hand’ will win the game. Community Cards – In poker, there are five community cards dealt on the table. First three cards are dealt which are known as ‘the flop’, after this players are given the chance to place bets before another card is dealt known as ‘the turn’. Players are able to bet again after ‘the turn’ is dealt, before the reveal of the final card which is known as ‘the river’. After ‘the river’ card is dealt, there is one final chance for players to bet before the winner is chosen. The winner will be the person with the best hand who has stayed the entire round. Checking/Folding – If players do not wish to make a bet they can either check or fold. Folding means you forfeit your cards and are no longer in the round. Checking means that you stay in the game until another player chooses to bet. If another player chooses to bet then you will either have to match this, fold, or raise the bet amount. These rules also apply when playing other forms of poker. Blinds – Blinds are forced bets that are taken from players sat at the table to start the pot. There are small blinds and big blinds, the small blind will be half the value of the big blind. To ensure fairness, blinds are taken from two players every round (the two players sat to the left of the dealer chip). The dealer chip moves to the left after every round and the person sat to the left of it will have to place the small blind, and the person to the left of the small blind will place the big blind. For a more comprehensive guide to blinds and Texas Holdem, check the archives on this website for further information. Hands – There are several hands in poker, all with different rankings. Familiarising yourself with the potential hands and their rank is essential in being successful. You can check the archives on this website for a complete guide of the Texas Holdem hands and rankings.